Nokia has also introduced Editori text and sheet, which allow users to view and edit Microsoft Word and Excel documents on the go. This is expected to add huge flexibility for mobile phones to modify, save and share documents or spreadsheets for quick review right from your Nokia Asha phone. The Editori text and sheet also comes with features such as rich text formatting; bold, italic, colors and underline to keep track of the changes made. The app recognizes hyperlinks, can enable users to view pictures, tables and save the document to memory card immediately. 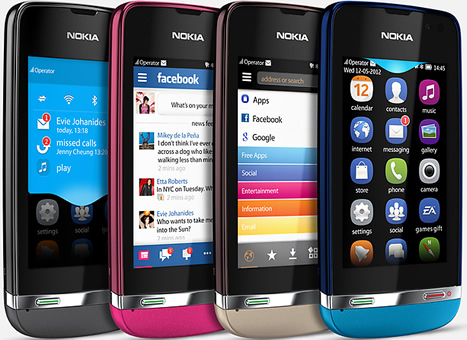 Ooh and Nokia still call them smartphones…well, Asha Phones are not smartphones. May be the new Asha platform launched recently in India would qualify the next generation of Asha phones including the already Nokia Asha 501 to be considered as Smartphones. Things I don’t Want To Hear at Connected Kenya 2013 and Is the Summit Really Worth It?